On Nov.12, 2014, the customer from Zambia visited Leizhan factory. Mr. Liu, manager of the foreign trade department of Leizhan received the customer warmly. 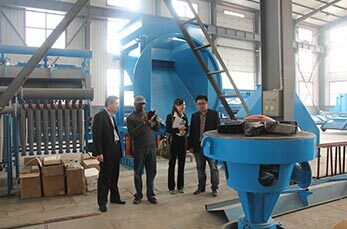 After visiting Leizhan stock preparation system and paper making equipment, the customer showed great interests in Leizhan paper manufacturing machinery and stated that their paper mill would like to invest in a complete kraft paper stock preparation line. Leizhan will supply for the paper mill in Zambia the following paper machinery: D type hydrapulper, High density cleaner, Pulp chest/Agitator, First stage mid consistency coarse screen, Reject separator, Mid density cleaner, Mid consistency fine screen, Double disc refiner, Accept pulp chest/Agitator, Pulp pump for paper machine, White water pump, etc.